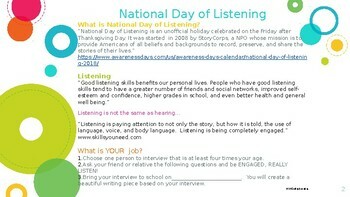 I LOVE the idea of kids connecting with older adults. 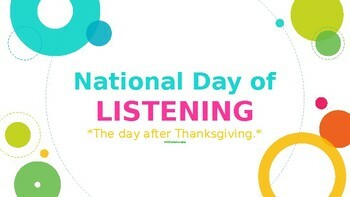 National Day of Listening takes place the day after Thanksgiving. 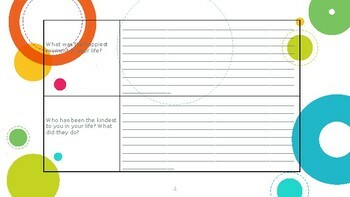 This activity provides students with nine questions to ask an adult at least four times older than them.